DI Nikki Galena faces her toughest challenge yet. Can she save her team and herself from a cruel and determined adversary who will stop at nothing to harm Nikki and her colleagues? First she must work out who wants revenge against her or one of her detectives. 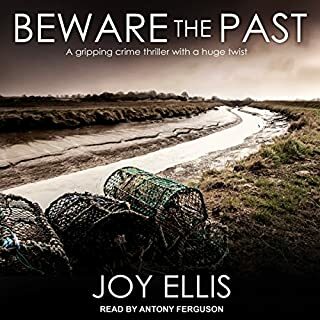 Full of twists and turns, this is a crime novel that will keep listeners riveted until the stunning ending. And what is the connection between the series of attacks on the police and the mystery of woman found dead in a seemingly impregnable locked room? Find out in this tense and exciting detective thriller. This the third book in the series and I have enjoyed all three but the narration is really annoying. I come from England and feel sorry for the Author joy Ellis who chose to set this book in a very particular part of England the Fens which are located in Cambridgeshire and Lincolnshire. So why the narrator has Nicky galena and other characters speaking in some wobbly Yorkshire /Lancashire accent is beyond me. Also the narrators Irish and Scottish accents are bad. Sgt Joseph is so posh he sounds like one of the Royal Family! However when the narrator is simply narrating her voice is very nice. Sorry to go on and if you don't come from the UK this probably won't bother you! 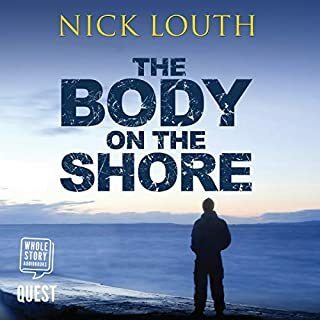 As I said these are really enjoyable police procedurals with a great team of detectives and a bit of a who done it vibe. This is the third book of the series. In what starts out as a classic mystery case, a dead woman is found in an impregnable locked room. Then the story takes a twist and someone is out to destroy Nikki and her team. Her team consists of Joseph, Cat, David and the boss is Inspector Bainbridge. Nikki’s daughter, Hannah, has just died and Joseph’s daughter is tricked into showing up and is put into danger. It appears the enemy knows about each of their lives and how to hurt them the most. Just as I thought I had the case solved, the author makes an abrupt change and I am sent off in another direction. Needless to say, the ending is a surprise. The book is full of suspense, intrigue and enough twists and turns to keep the reader guessing. The characters are interesting and Ellis continues to develop them in each book. I can hardly wait for the next book in the series. The book is nine hours long. Henrietta Meire does an excellent job narrating the series. For me the Detective Inspector Nikki Galena series has become addictive. This is the 3rd novel in the series and there are two more not yet available in audio format. The novels in the series are first rate suspense mysteries. Protagonist Nikki Galena is a very strong leader who inspires confidence in her team. Narrator Henrietta Meire takes some getting accustomed to because of her unusual British accent, but her performance is stellar. Yet again, I like the characters and find them engaging, but the plotting is so overblown and exaggerated. There are always baroque details and large-scale conspiracies and it just feels at odds with the bucolic setting. Not sure whether I'll continue reading these books. This series is the first time I've heard the amazing narration of Henrietta Meire. She really brings the characters created by Joy Ellis into vibrant life. 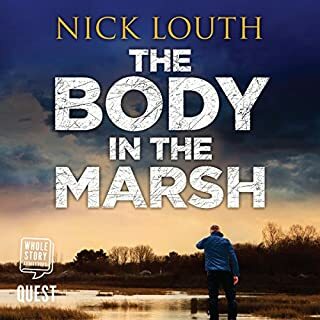 DI Nikki Galena and her partner Joseph Easter are two people who could scarcely be more different, but due to the good writing and narration, these detectives have a kind of dynamic fit that transcends their individual personalities. They genuinely complement each other--as does the team who all work together to solve multiple complex crimes. This book is very long, and at brief moments I felt overly long (the author very ambitiously put more suspects in, and kept doing so throughout the story, than I could at times keep up with). But it is somewhat of a page turner, so hard to pull away from. Best to just try to keep up! It works okay. And this particular episode has a lot of high tech focus in places, which is the way of crime novels these days I suppose. (I imagine Agatha would have incorporated that, if she could have, but I'm old, so less impressed by that kind of detecting). The author is mainly focused on the murder(s) involved, but takes the time to interweave touching moments of interaction among the characters, so that by now, in this third book, I feel that I'm getting to know them rather well, and that helps pull the entire story together. I'd just say, if you plan to listen, hunker down, be ready to immerse yourself, and enjoy! Certainly worth the credit! 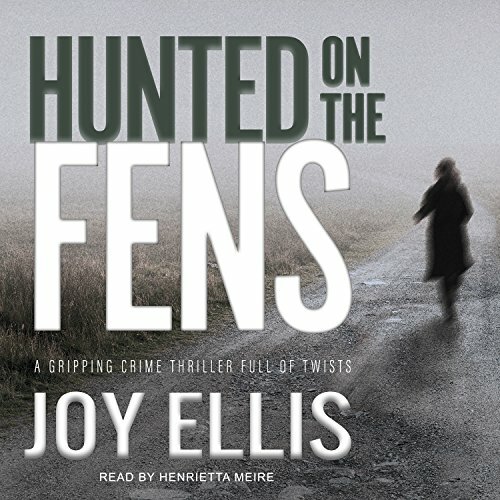 Would you consider the audio edition of Hunted on the Fens to be better than the print version? The audio version of any book is better because I can do mindless chores or close my eyes and rest while listening. What was one of the most memorable moments of Hunted on the Fens? The discoveries were never mundane, even if the clues uncovered didn't immediately relate to the mystery. The awkward conversation between Joseph and Vinnie over John's true feelings for Galena was well written. I felt as uncomfortable as Joseph did. The conversation piqued my curiosity for the rest of the story. I enjoy this series for its intriguing characters. There are some nice working relationships as well as ethical bad guys and unethical cops. I wish more was done with the setting, since the fens are highlighted in the series titles. First of all I really like the narrators voice however at times she speaks so fast that it is hard to understand. I feel like she is speed reading and with so many characters I tend to just space out. Sadly it does ruin the storyline. I felt like it was a race to the end. So many names I stopped even trying to figure out who they all were. Hunting for the Next Book! Nikki and Joe have their work cut out for them when it becomes obvious her entire team is being targeted by the deadliest foe she's ever come across. It's pretty touch-n-go and quite sad in some places. As always, a satisfying story full of depth and lovable characters. This is the 3rd Nicki Galeana book I have listened to with the same narrator. To be honest you get used to the quite bad narration and see past it to a brilliant storyline. I advise everyone to keep going or you miss some great stories. Do wish they'd give someone else the chance to narrate her books though. Once again, this story is spoiled by the dreadful attempts at regional accents and some very strange pronunciations if ordinary words. Not my favourite narrator but like the stories. Not a favourite narrator but I do enjoy the stories. may try the next one in the series. Very good story that has you looking over your shoulder . I do struggle with the narrator and her accents but worth it for the story . I think I have been spoiled by the narrator of the Joy Ellis Jackman series he is brilliant . I shan't be buying the 4th book in this series. I enjoyed the first couple of stories - enough to rise above the dreadful accents and weird pronunciations of the reader - but this one just came across as formulaic and boring. And that meant that the narration really annoyed me. Such a shame. I found this book easy to listen to due to the good gripping story. However this reader isn't up to standard - her voice is harsh and abrasive and she mispronounces ordinary english words. It would be 5 stars if it wasn't for this. 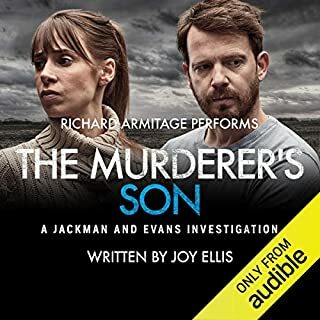 Really enjoyed the story and will listen to the rest despite the fact that the narrator struggles so much with accents and pronunciation of some basic English words that, more often than not it’s entertaining for all the wrong reasons. Very pleased they decided to employ Richard Armitage to narrate her new series! Another great story. I felt so sorry for the team in this book. Despite all of their hard work they were all hurt in some way by a twisted character. The psychological torture the team goes through seems to be coming from an old enemy, but nothing is what it seems. I really like this series, but I don’t think I want to be part of this team as it’s too dangerous. They always end up at the hospital. This is a mystery that is difficult to solve as a reader, therefore it keeps you thinking right to the very end. There is a very satisfying ending for one character in particular. Really enjoying the narration of this series. The narrator can make or break the story! 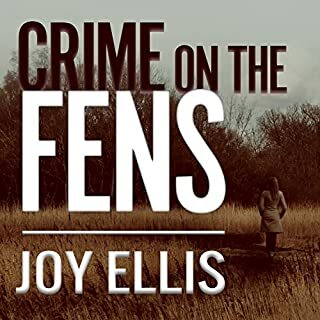 I’m absolutely loving the Fens series by Joy Ellis I find the narrator Henrietta Meire very easy to listen to and the series is great. Great characters and great intriguing crime fiction. Loving the series and love this third book. Not only are the characters and dynamics between them developing, they are suddenly all at threat. It's close to home and a deadly race. Thoroughly dripping thriller.